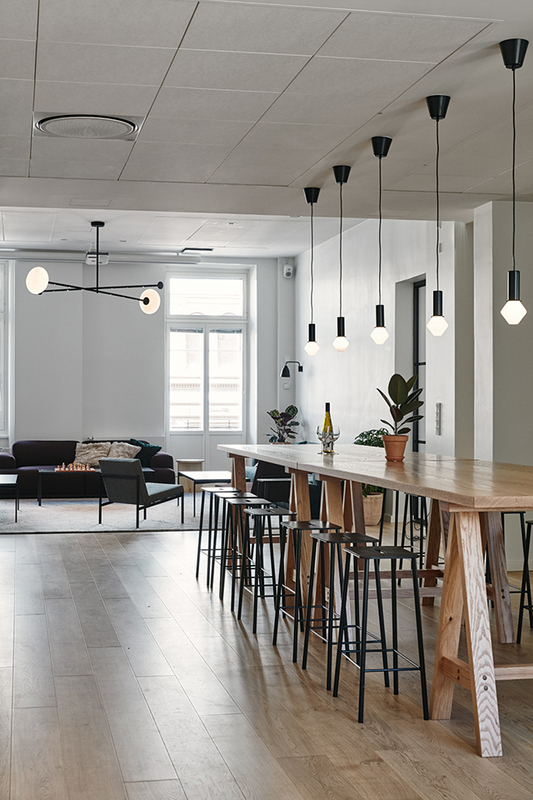 When Fjord, one of the world’s leading design and innovation consultancies, grew out of its Helsinki premises, it needed a new space that would reflect the Fjord brand and feel like home to its employees from around the world. 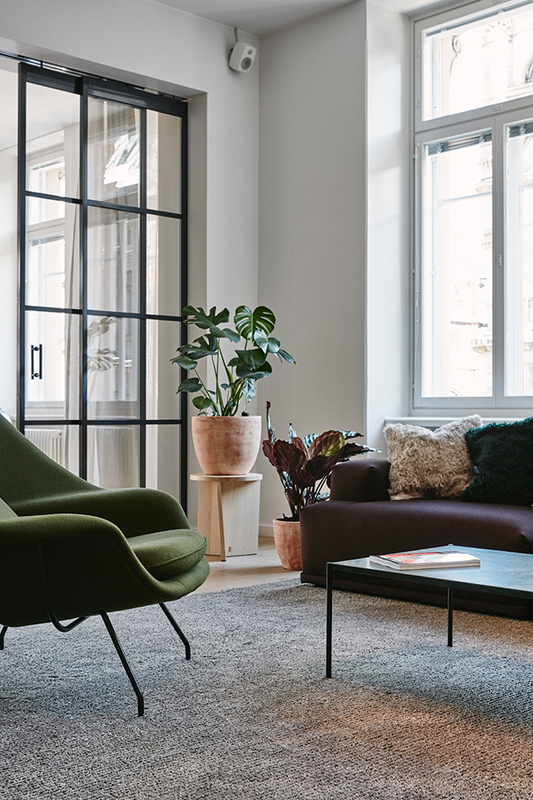 Having worked with the Helsinki-based Studio Joanna Laajisto before, Fjord knew that they had found a designer who could translate Fjord merk characteristics into interior design principles. Furnished with high quality, natural materials such as oak flooring with sound-absorbing underlay and sisal carpet, the studio is bathed in natural light. 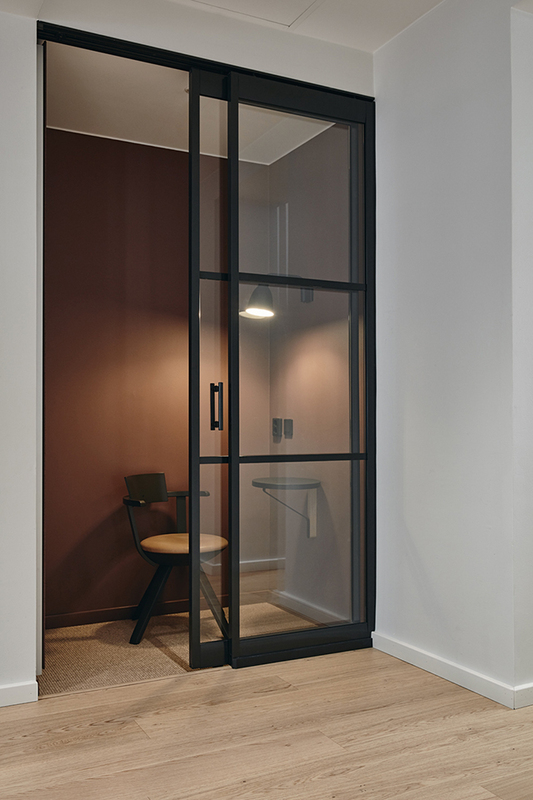 One of my favourite features is the delicate metal room dividers. Designed to allow for the light to flow through the spaces, the addition of linen curtains ensures privacy when needed. 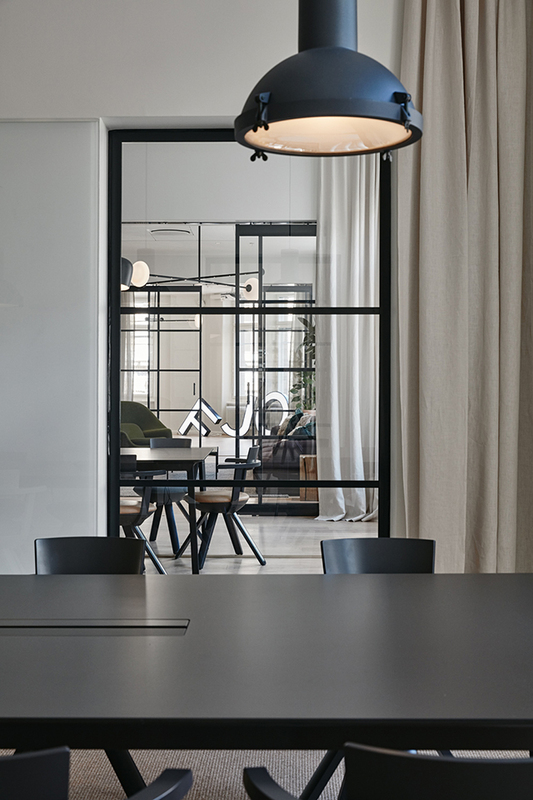 Rather than building a traditional office, the aim was to create an approachable, homelike workspace and this can certainly be seen throughout. 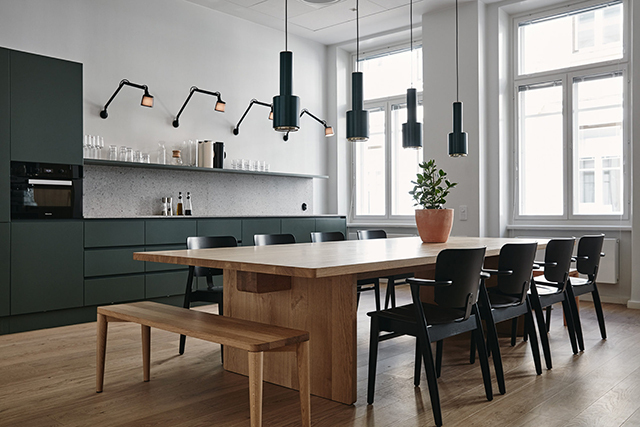 In addition to different kitchen and lounge spaces suitable for collaboration, the offices include creative work and casual hang-outs. Privacy can be found in comfortable phone booths lined with Kvadrat’s acoustic Soft Cell panels. 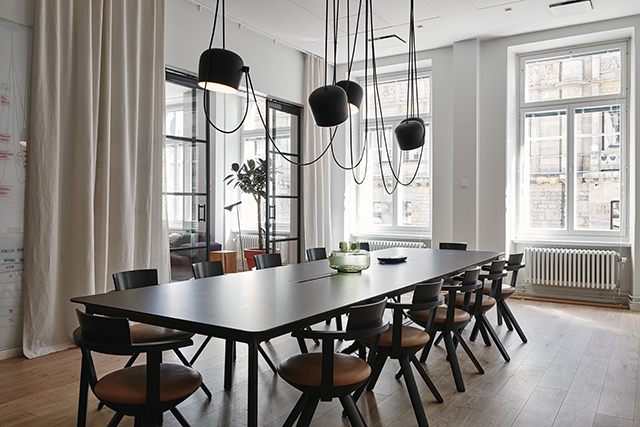 Most of the materials and pieces of furniture are of Finnish origin, in line with the wishes of Fjord Helsinki. 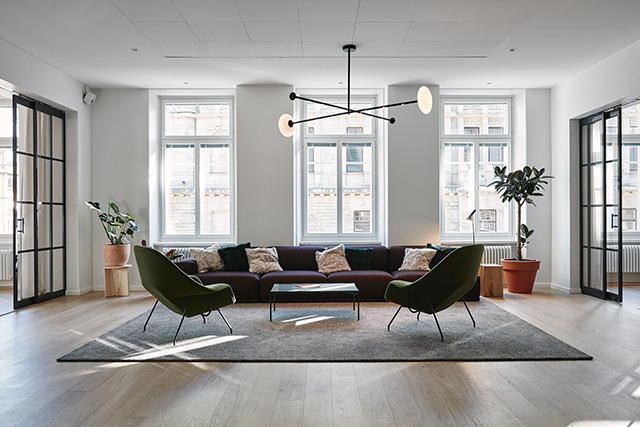 Meeting rooms are furnished with Artek Rival chairs, the living rooms’ large carpets are from Woodnotes, and the Knoll’s Womb chairs were designed by Finnish designer Eero Saarinen. 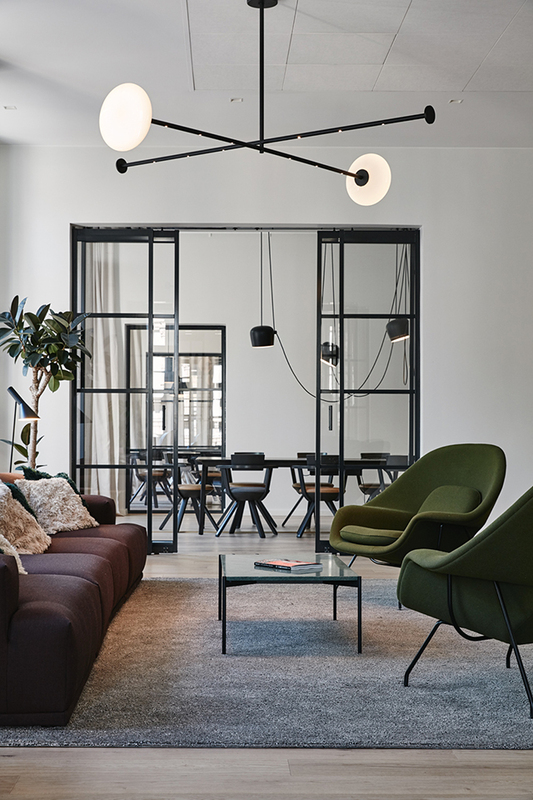 The living rooms are also fitted with striking PJ01 lamps, designed by Joanna Laajisto and designer Pasi Kärkkäinen. 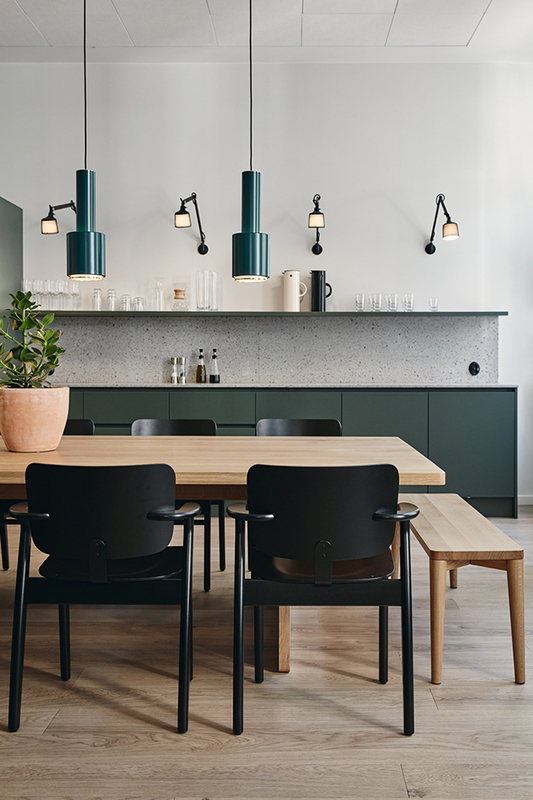 The gorgeous green kitchens blend in with the natural materials and are furnished with Ilmari Tapiovaara’s Domus chairs as well as oak tables and benches from Nikari. Such a welcoming place for both work and downtime, I can see why employees can't stay away! 0 Response to "Studio Joanna Laajisto | A New Finnish Home For A Global Design Consultancy"